Mississippians have an enduring and robust relationship with food. It is amorous and humble. 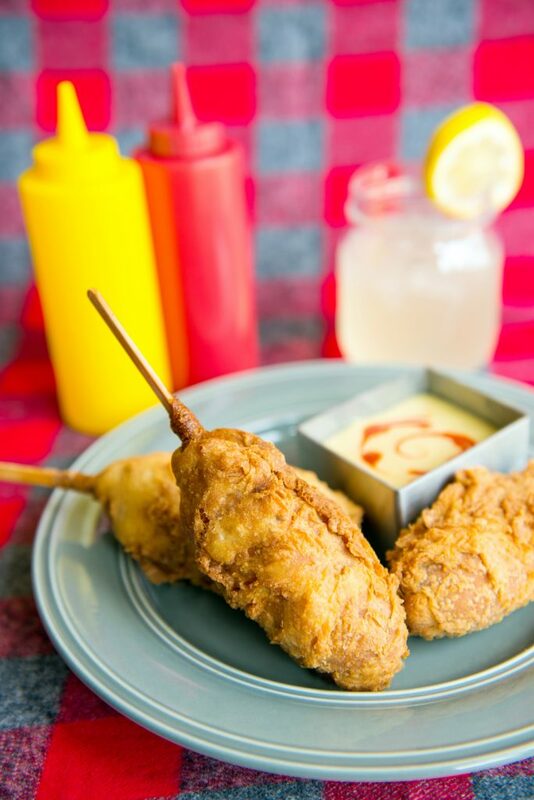 Southern foods are so good by themselves, yet what we have accomplished with a deep fryer is indescribable, and they can be savored and relished at the Mississippi State Fair in October every year. The State Fair has given us clearance—or a free pass anyway—to indulge and immerse ourselves in the forbidden “fair foods.” Fair food has become a food category all its own—taking everyday delicacies to an inconceivable level! For years, saltwater taffy, candied apples, and cotton candy were the mainstays on the midway. Today you can find everything from deep-fried Oreos and Twinkies to burgers made with Krispy Kreme do-nuts in lieu of hamburger buns. I probably won’t eat that last one, but it is a delicious thought anyway. 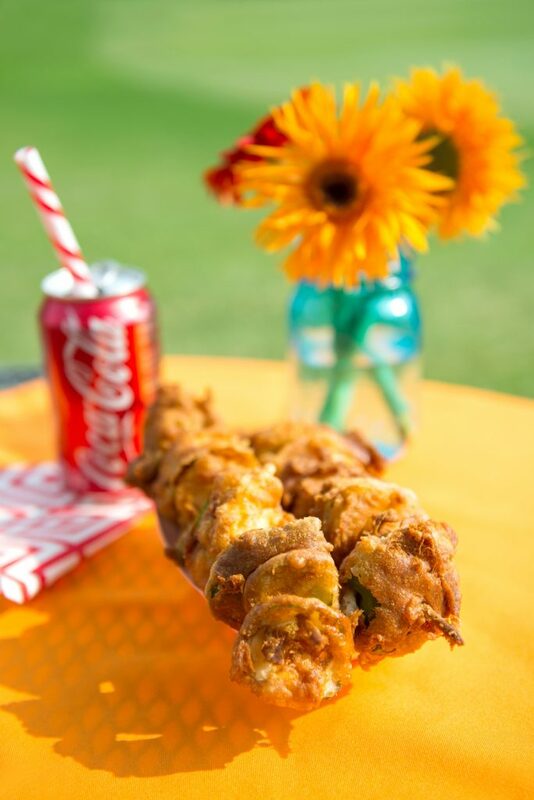 Try some of these fair food recipes at home; they are simple and delicious and do not involve a roller-coaster ride or a giant Ferris wheel of any kind. Enjoy, and happy fall! Heat grill or grill pan to medium-high heat. Drizzle olive oil over fresh corn and sprinkle with salt and pepper. 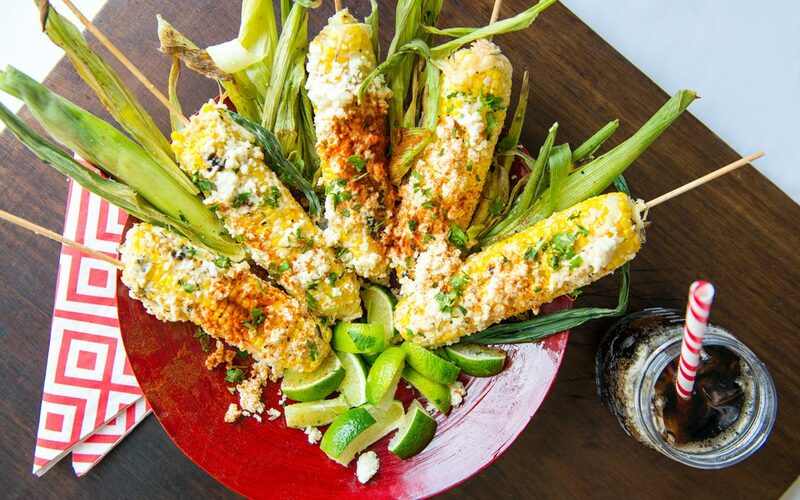 Place ears on grill and cook for 3 to 4 minutes per side or until corn is slightly charred and kernels are tender. Remove from grill and insert a wooden skewer into each ear. Meanwhile, in a medium-sized bowl, mix together mayonnaise, lime juice and zest, chili powder, smoked sea salt, and cayenne pepper. Spread queso cheese on a separate plate. Gently roll warm corn in mayonnaise mixture, then in shredded cheese. Sprinkle with additional pepper and cilantro if desired, and serve with lime wedges. Heat grill or grill pan to medium high heat. Place sausages on grill and cook 4 to 5 minutes per side, turning occasionally, until sausages are cooked through. 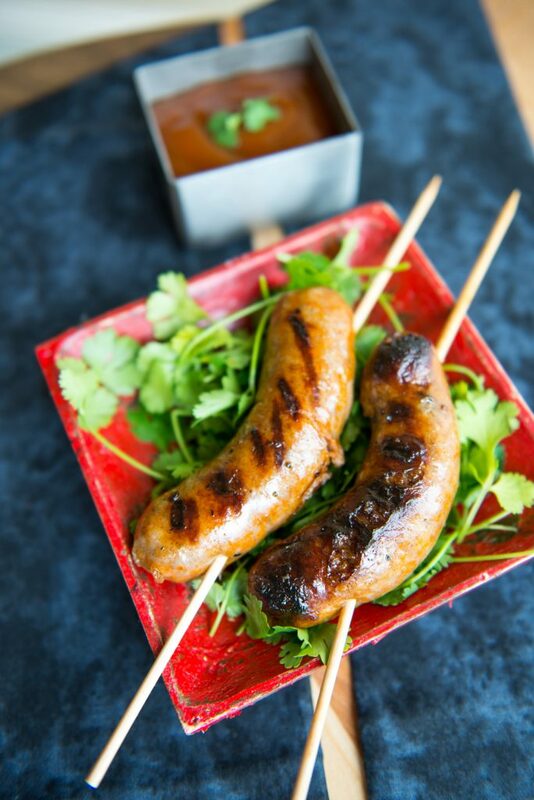 Remove sausages from grill and insert a wooden skewer into each sausage. Serve immediately with spicy mustard or barbecue sauce. In a large bowl, combine biscuit mix and cornmeal. Stir to combine. Add egg and water, adding more water as needed for batter to become slightly thick. Heat vegetable oil in a large pan until it reaches 350 degrees. Insert skewers or sticks into hotdogs about ¾ of way through. Dip hot dogs into batter, shaking off any excess batter. Carefully drop each battered hotdog into oil using tongs or a spoon to gently turn until they are golden brown all over. Remove corndogs from oil, and drain on paper towels. Serve immediately with assorted mustards. Heat oil in an 8- to 10-inch frying pan over medium-high heat. Meanwhile, mix milk, apple cider vinegar or beer, flour, salt, and pepper together in a large bowl or glass-baking dish, adding more or less flour to produce a loose but thick batter. Dust chopped vegetables and cubed chicken with flour. Drop vegetables and chicken into batter, coating on all sides. Begin skewering coated vegetables and meat, alternating cubed chicken with vegetables to fill skewer. Shake off any excess batter and dust each skewer again with flour. Drop skewers into hot oil, 2-3 skewers at a time. Using tongs, turn skewers in oil until they are golden brown on all sides, about 4-5 minutes. Remove each skewer from oil and drain on paper towels. Serve immediately. Place crullers on a plate, brushing off any crumbs and removing any broken pieces. Place crullers in freezer for 30 minutes. Line a baking sheet with aluminum foil or wax paper. 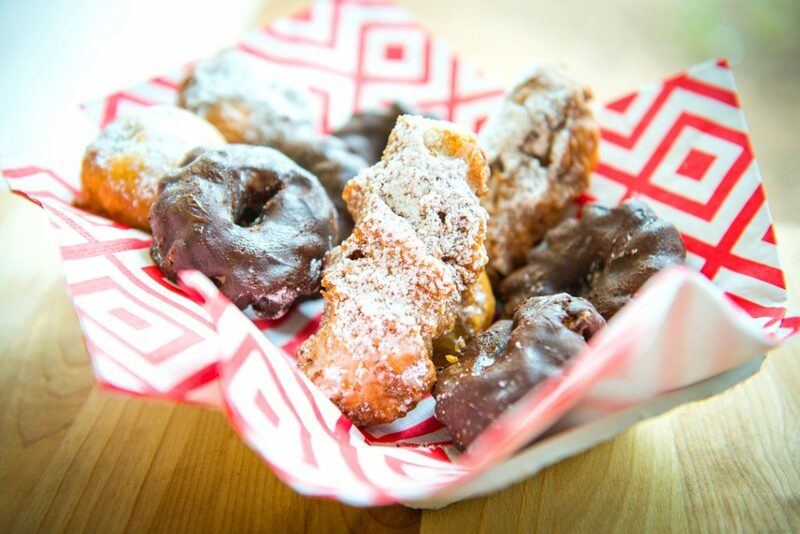 Remove crullers from freezer and dip each one in melted chocolate, shaking off any excess chocolate. Place on baking sheet and leave until chocolate is set, or place them in refrigerator until ready to serve. Place cookies and candy bars in freezer for 30 minutes or more. In a small bowl, combine baking mix, milk, and egg. Stir until combined, but do not overmix batter. Heat oil in a frying pan to medium-high heat, or 350 degrees. When oil is hot, remove cookies and candy bars from freezer. Dip each cookie and candy bar into batter, shaking off excess. Working in batches, drop each cookie and candy bar into hot oil and fry for about 30 seconds. Turn each one over with a slotted spoon and fry for another 30 seconds or until golden brown on both sides. Repeat process with remaining cookies and candy bars and drain on paper towels. Dust fried Oreos and candy bars with confectioners’ sugar and serve immediately. Freeze Twinkies for at least 2 hours or overnight. In a large saucepan over medium-high heat, heat 1 quart vegetable oil. Mix milk, vinegar, 1 tablespoon oil, flour, baking powder, and salt together until smooth. 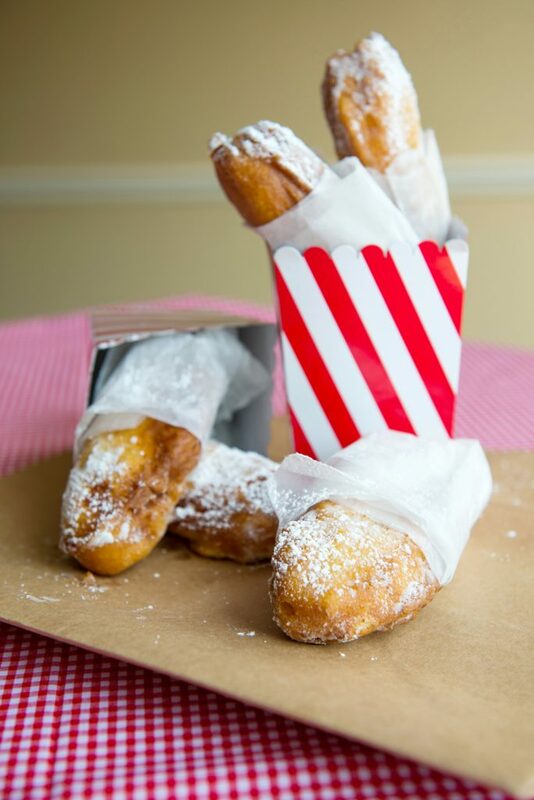 Dust Twinkies with flour and dip in batter, shaking off any excess. Drop into hot oil and fry, turning several times until golden brown. Remove from oil and drain on paper towels. Serve warm. Heat sugar and water in a medium saucepan until sugar has completely dissolved. Remove sugar syrup from heat and let cool. 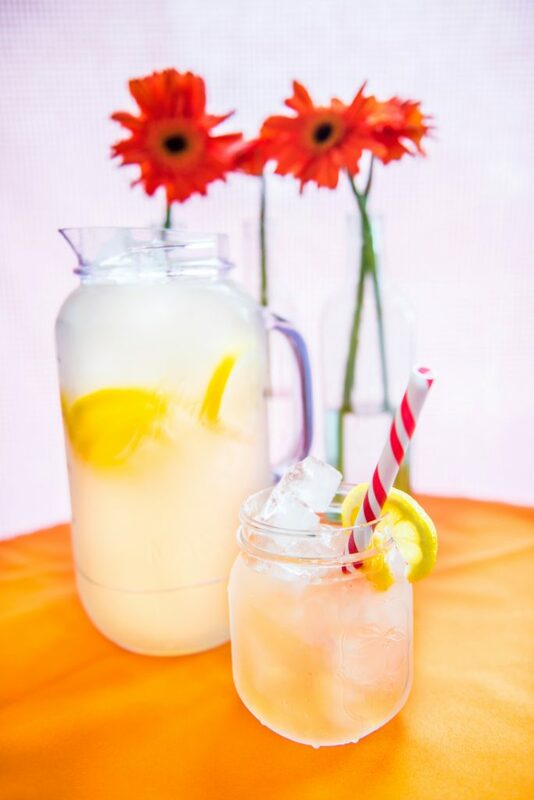 Pour lemon juice into a pitcher and add half of sugar syrup along with 2 more cups of water. Stir vigorously and taste, adding more sugar syrup or water if needed. Fill pitcher with ice and sliced lemons. Serve immediately or refrigerate. This article appeared in the September/October 2014 issue of Mississippi Magazine. Need a subscription, click here!